About Ray: ​Ray was born in Pawtucket, RI and moved with his military family to Pensacola, Florida in 1968. He attended Escambia High School and Pensacola Junior College. Ray started working at age 9, delivering newspapers, shoveling snow & mowing lawns, while employing some of his eight siblings as well. While in high school, he worked several jobs at NAS Pensacola and at McDonalds during his senior year. During and after college, he worked the auto parts business and later on selling structural steel related products. In 1983, Ray acquired his Real Estate License and started in the business with Donovan Realty, a local “Mom & Pop” company that provided a good foundation for his new (and lasting) career. Ray made the move to RE/MAX Horizons realty in 1989 and has been with the company ever since. He is a consistent Top Producer and a member of the RE/MAX International Hall of Fame. Ray is married to Paula Rogers (also associated with RE/MAX Horizons), has three children and two grandchildren. He has been actively volunteering in various church, community and civic organizations throughout his life. Qualify and counsel serious buyers toward a decision. Buyers need answers to countless questions, not only on your property, but technical matters-financing, payments, insurance and title clearance. As your Realtor, Ray will have the answers, make detailed arrangements for financing and serve the buyer in dozens of ways to make it easy for him/her to complete the sale of your home. Keep up to date with the best financing available. Synchronize buyer/seller involved with the closing. Handle any and all issues that occur through this process... from before the contract to after the settlement. Arrange to relocate sellers when applicable. Work full-time ALL THE TIME to Market and Sell Your Property! Qualify the buyer for Conventional, FHA, VA, and other special financing to determine the maximum mortgage a lender will allow the buyer to handle and find the payment the buyer will be comfortable with. Thus, you are able to find the best home in the shortest time. Determine the needs and preferences of a home for the buyer by conversations and actual showings. Locate homes available in the style, price, and location for the buyers to preview through the use of the multiple listing service, company listings, through agents working for other real estate companies, and for sale by owners. Help determine the most economical type of financing for the buyer’s particular situation. Educate buyer in the areas of school, neighborhoods, churches, recreational activities and any other areas of interest about the community. 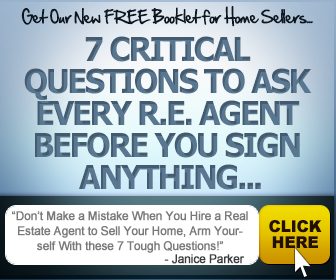 Help you and the sellers come to terms that satisfy both of you. Fairly negotiate differences you and the sellers have about your offer, presenting an objective, third-party viewpoint.